As a pioneer and leading company in manufacturing and developing soundproof private spaces, Framery believes that great thoughts thrive in silence. 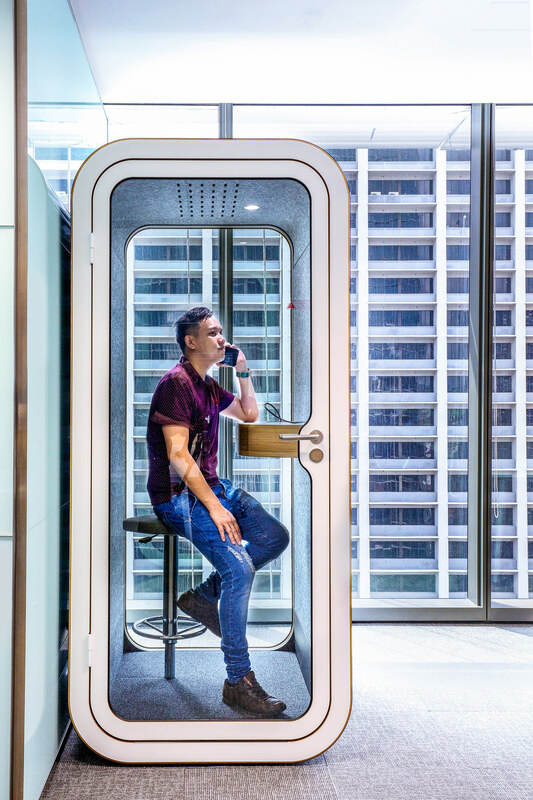 Framery’s acoustical booth solutions are perfect for making important calls, participating in video conferences and having quiet space to focus on demanding tasks. As an impactful, mobile solution to the acoustical struggles of traditional and modern spaces, Framery is ready to use immediately – without the lengthy timelines of standard construction. The booth includes all the equipment you need to make things easy – a table top, air ventilation system, electric socket and LED lighting. Framery delivers an echo-free, fresh and comfortable working environment. Interested in having Framery in your new space? Contact us.